We are celebrating University Press Week 2018 and today we will be considering the theme of art and culture with a staff pick from Alice Hoad, who works in the marketing team. 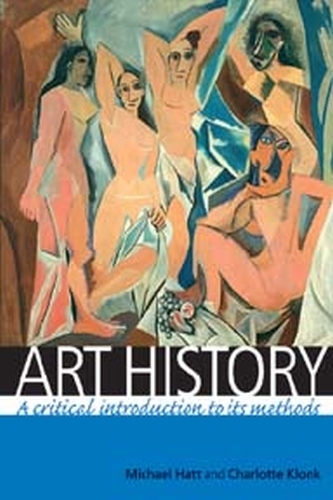 I bought my copy of Michael Hatt and Charlotte Klonk’s Art history: A critical introduction to its methods in the second year of my undergraduate degree in art history at the University of Bristol. I had been studying art history for three years by this point, and had visited galleries around the world and studied a wide variety of artists, but it was this book that made me fall in love with the history of art. The text is divided into two sections. Part one covers Hegel and the birth of art history, connoisseurship, formalism, iconography and Marxism. Part two examines feminism, psychoanalysis, semiotics and postcolonialism. There are 28 illustrations, and an extremely helpful bibliography. There is also a ‘critical appraisal’ section at the end of each chapter, which examines the validity, usefulness and impact of each theory/method. This book taught me how to construct robust arguments that were grounded in theory and realised through clear methodologies. It inspired me to write about a diverse range of artists and time periods. It showed me that the history of art was just as fascinating, complex and creative as the art itself. The first chapter on Hegel and the birth of art history even briefly inspired me to learn German, so that I could read Winckelmann, Herder and Hegel in their original language. Unfortunately, I soon remembered that I have plenty of enthusiasm, but little patience when it comes to learning languages. When I went on to teach on the ‘Introduction to modern art course’ at the University of Bristol, I recommended this book to all of my undergraduate students. 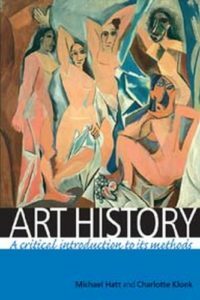 It is a fantastic introductory text and an indispensable resource for undergraduates and those who want a general introduction to art history. It is structured chronologically, which is particularly helpful for undergraduates as it is easy to follow the development of the various theories and methodologies, and how they respond to one another. It manages to present complex theories, ideas and arguments in simple and engaging prose that is easy to understand. The writing is clear and concise, which is ideal for undergraduates and general interested readers. It introduces the reader to a wide range of relevant writers, philosophers and theorists, including: Patricia Leighton, T. J. Clark, Griselda Pollock, Hal Foster, Mieke Bal, Rosalind Krauss and Edward Said. It contains a fantastic chapter entitled ‘A variety of interpretations: a preview’, which applies all of the different theories and methodologies to one painting: Pablo Picasso’s Les Demoiselles d’Avignon (1907). This analysis perfectly illustrates the benefits of incorporating a wide variety of approaches to the study of art and its histories. I first read this book six years ago, but I have found myself returning to it again and again over the course of my undergraduate and master’s degrees, and now during my PhD. It is a fascinating, well-written and extremely useful little book that is an absolute joy to read. Manchester University Press are giving you a chance to win one of four books during University Press Week. Visit our book of the month page to be in with a chance of winning a copy of Art history: A critical introduction to its methods.